Alexander, known as Alex, was born in Christchurch 4 April 1891, the son of James & Elizabeth Bennington nee Pitt, Bootmaker, of 184 Talbot Street, Geraldine. He attended the Geraldine District High School and was later employed by R. Morrison, a well-known Geraldine business, as an ironmonger. Alex had been a Sergeant in the Geraldine territorials where he had been a very keen rifle shooter, a member of the Brass Band, the Swimming Club, played hockey and was greatly esteemed by all who knew him. 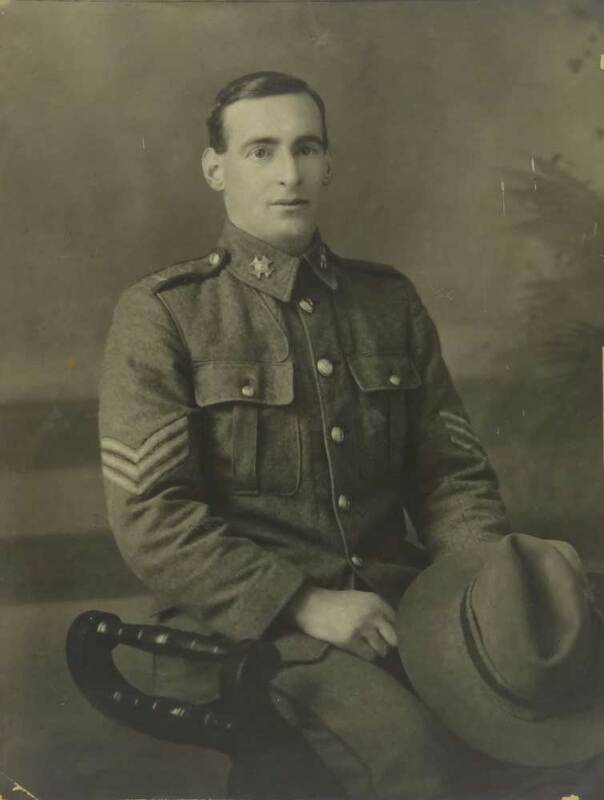 He enlisted in the Canterbury Infantry Regiment serving in NZ from 15 August to 16 October 1914, and embarked with the Main Body from Lyttleton for Suez, Egypt 16 October 1914 on either the Tahiti or Athenic. He saw action in Ismailia during the defence of the Suez and further action on landing at Gallipoli. 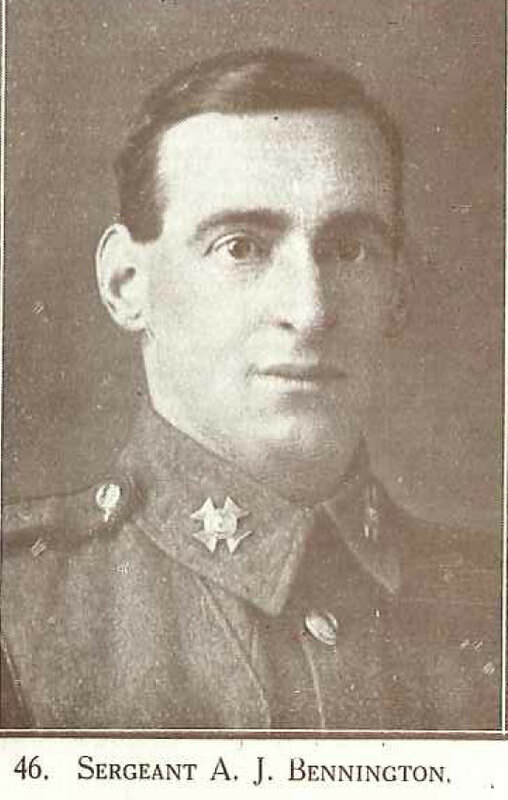 Alex unfortunately suffered a gunshot wound to the head on 1 June 1915 and died the next day in the 1st Australian Casualty Clearance Station. He was buried in the Beach Cemetery at Gallipoli. His medals along with a plaque and scroll were sent to his father in Geraldine at wars end.